Welcome to the Team Orthodoxy Link Page. 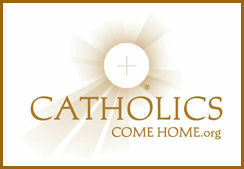 Here you will find links to great Catholic resources that have helped us grow in our faith. Let us know if you there is a site that has helped you grow that should be added. For iPhone users, Team Orthodoxy encourages the use of the “iPieta” application – an incredible wealth of Catholic teachings, writings, and prayers, all at the touch of a button. It can be found in the App Store through iTunes or the App Store in iOS. I encourage your blog followers to check out my blog. You can do so by clicking on my name. Its a Catholic blog. I accidently entered wrong link. If you click on my name for this comment, you will reach the correct blog. Thanks and God Bless.